100 years ago, British and French troops landed in Salonika, creating a periphery front which, according to one soldier, “nobody seemed to have heard of.” You’d be forgiven for never having heard of it, either, unless you a reader of this blog, or one of my friends, or (let’s face it, is most likely), both. 100 years ago Salonika (now Thessaloniki) was a multicultural meltingpot (or a salade macédoine if you prefer) but British first impressions were almost alarmingly uniform. Salonika was alluring and exotic from a distance, but why did it turn out to be so disappointing? It wasn’t just the mud, the crowds, the smell. The Allied landings in Salonika were the beginning of a three year campaign that was derided by the British public during the war and afterwards immediately became obscure. On Saturday I’ll be talking about this lack of appreciation let to a major difference of experience between men and women in the Balkans. In the meantime thanks for remembering this forgotten front. Isabel Galloway Emslie Hutton, Memories of a Doctor in War and Peace (London: Heinemann, 1960), 141. H. Collinson Owen, Salonica and After: The Sideshow That Ended the War. (London: Hodder and Stoughton, 1919), 78. G W Bazley, “Notes from War Diary Covering France, Greece, Macedonia, Egypt & Palestine,” in S Pounds, “Papers,” IWM 76/146/1, 29 Nov 1916. O C M Haines, “Letters,” IWM Con Shelf 3245, 27 Apr 1916, 174. H R Preece, “Diary,” IWM 04/4/1, 11 Aug 1917. H E Brooks, “Papers,” IWM 03/30/1, 26 Nov 1915. Kathleen Courtney, “Papers,” IWM PP/MCR/C3 & P96, 2 Jan 1915. 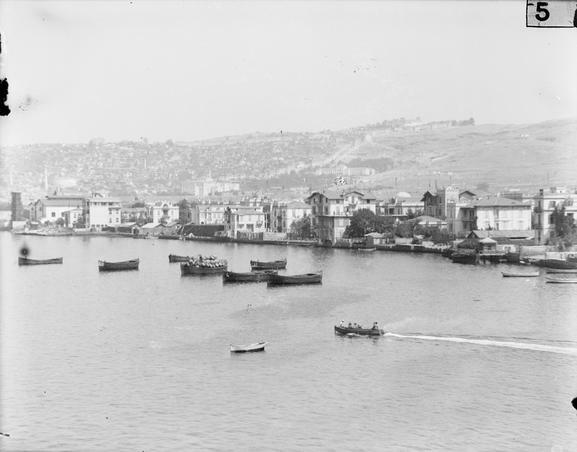 See also H Birkett Barker, “Papers,” IWM 73/140/1, 20 Aug and 27 Sept 1916; W Knott, “Papers, ” IWM P305, 11 and 13 Oct 1915; Charles Packer, Return to Salonika (London: Cassell, 1964), 14. It definitely was a forgotten war! All the best with your talk on Saturday.